We are looking for candidates that are dependable and willing to become part of our hard-working team. Able to be mentored by industry leaders to create a fast track career advancement. On the job training and advancement opportunities are abundant. Positions are available at our West Jordan & Syracuse location. Position will require physical labor. Duties will include but are not limited to: operating equipment, operating hand and/or power tools, loading and unloading materials, supplies, equipment and tools, assisting and following site supervisor’s instructions, preparing and cleaning job sites, lifting up to 50 pounds frequently through the day, maintaining equipment and other tasks as assigned. Communicate well with other employees and management. Work as a team member. Hard working, honest and dependable, some knowledge of construction would be helpful but not necessary. We are willing to train the right candidate. Compensation will be based on experience. Sorensen Companies Is an Equal Employment Opportunity Employer . Women and Minorities are encouraged to apply! Click on the Employment link at the top of the page to apply today! SCI. Your World, Our Formula. 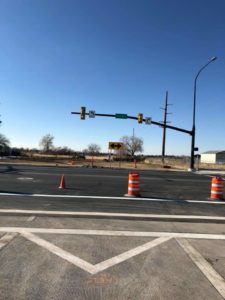 Sorensen Companies Inc. (SCI) is a multi-disciplined contractor specializing in utility, communications, electrical, pipeline and roadway construction. The formula at SCI for long-term success relies heavily on our ability to recognize future trends, adapt quickly to changing markets, and execute with high proficiency. We pride ourselves on our innovation and the individual talent of each of our highly skilled teams. These abilities help us complete even the most complex projects faster than our competitors at a quality that exceeds industry expectations. 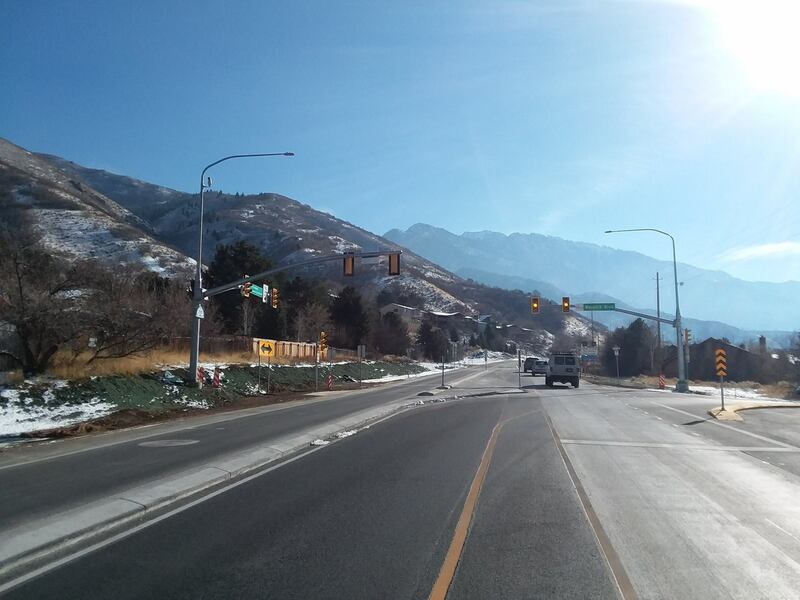 Our team at SCI has completed the new traffic signal at the HWY 193 extension to 3000 W in West Point. What a wonderful job they have done! We are very proud of you! Ryan Reid, Tim Walker, John Montoya, Tucker Perkins, Kevin Bennett, Tony Perkins, Aaron Pentz, Mario Mendoza, Trevor Kindred, James Fischler, Riley Miller. 5,300 feet of ATMS conduit installed in a few hours as well! 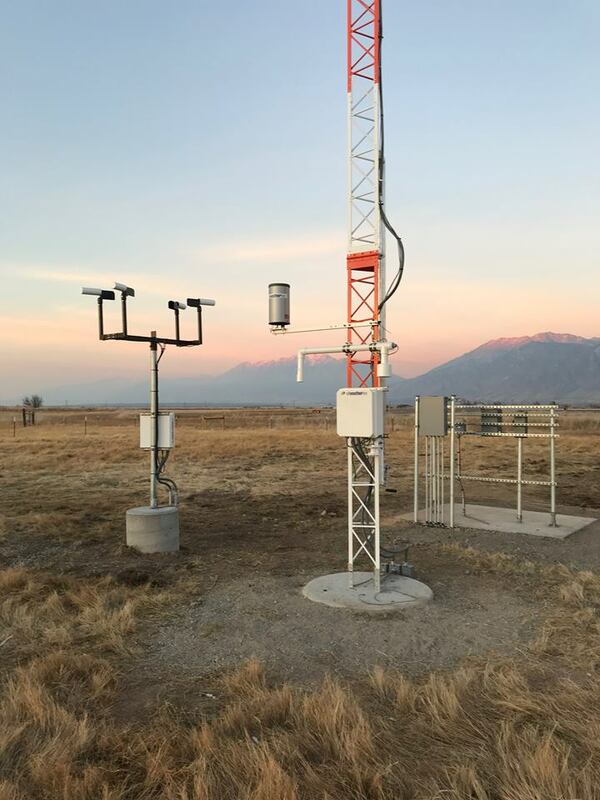 Last Week our team completed the AWOS “Airport Weather Observation System” at Spanish Fork Airport. What an amazing job guys! Thanks Todd Manning, Brett Anderson, Tim Walker, John Montoya, Trevor Kindred, James Fischler and everyone else. Exceptional work! 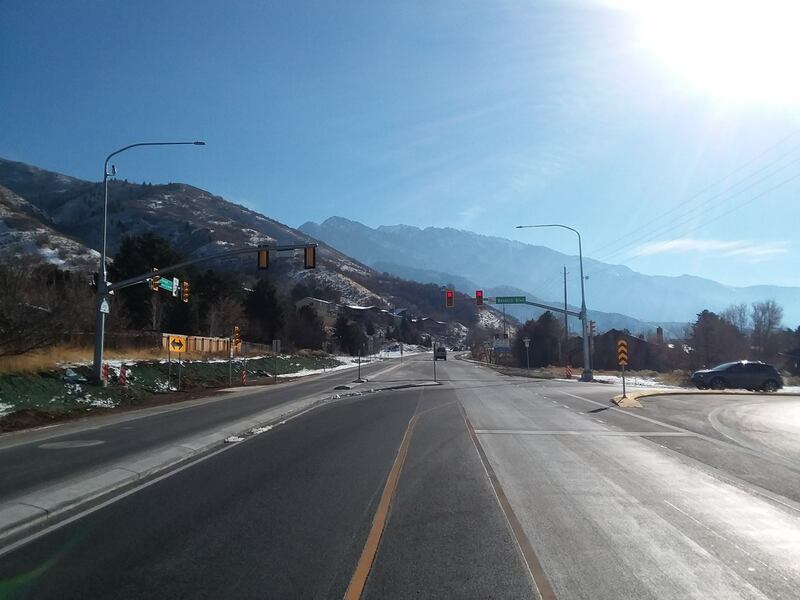 Our team at SCI has completed the new traffic signal on Wasatch Blvd, near Cottonwood Canyon for UDOT and Kilgore. Signal had it challenges, but turned out great! 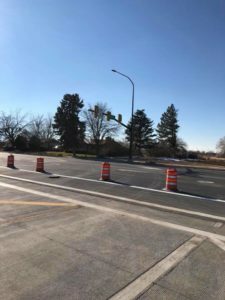 Fantastic job Ryan Reid, Tim Walker, Aaron Pentz, Shane Fossum and all crews that participated in this project, also a congratulations to our estimator Kelly Luddington for winning the bid! We are very proud!! SCI is proud to be part of upgrading the “Fastest Mobile Networks 2012”, as reported by PC Magazine. 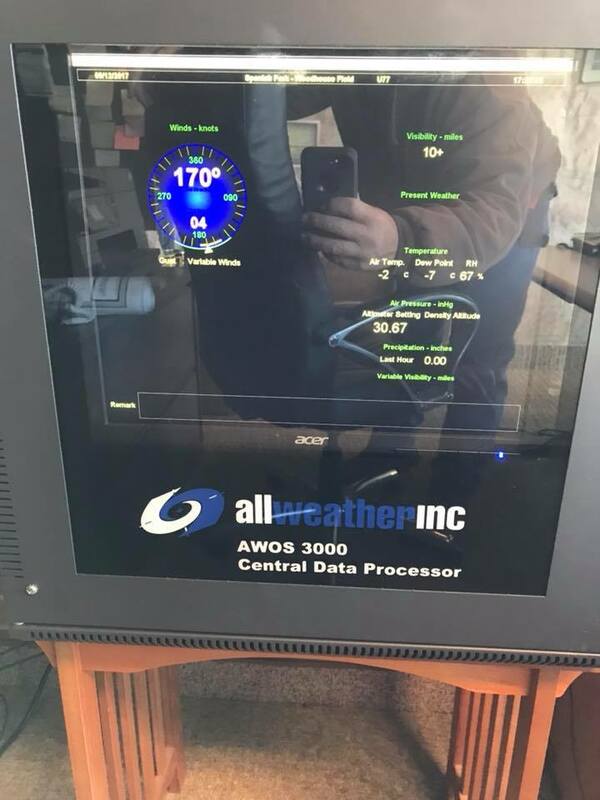 Our mobile cellular tower technicians have been hard at work installing the LTE hardware to reach these speeds for several months. 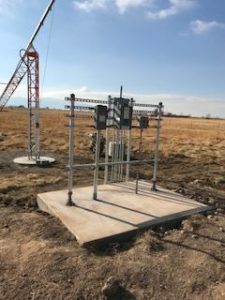 USDA Rural Development along with 3 Rivers Communications held a tour last week to update residents on the progress being made on the high speed broad-band fiber-optic project in Augusta, Montana. There were over ten individuals on the tour including 3 Rivers staff, Rural Utility Services (RUS) and USDA Representatives, and Augusta residents. They visited a work sight ten miles west of Augusta on Elk Creek Road at the base of Haystack Butte. 3 Rivers Communications contracted Sorenson Company Inc. (SCI) out of Salt Lake City to do the work. Those participating in the tour were able to see SCI pre-ripping an underground trench while another plowed in the fiber along the roadside. Yes, it’s true. We keep a record of performance milestones for several reasons. This being said, for those with a competitive spirit, they exist for only one reason. To be broken! Well, the bar’s been set a little higher….. now let’s see how long this record stands…. 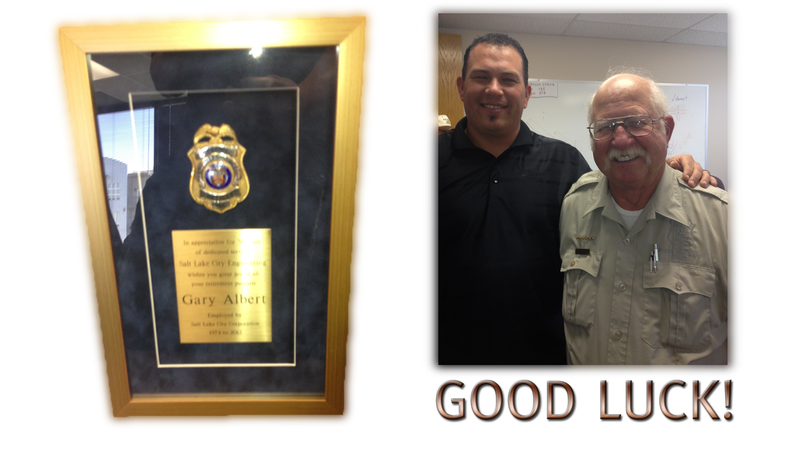 Gary Albert has been working with Salt Lake City, he served as an inspector for 38 years and he has accompanied us in our growth. A great, professional and pleasant individual, we wish him the best as he starts this new chapter of his life. SCI and Staker Parsons have joined forces once again to improve our community. The new Layton Parkway is an extension of the new off ramp from Flint into Angel Street, SCI was charged with building a new signal at Angel Street… Click here to learn more. We have just finalized this video presentation of The Gallivan Center project. We hope you enjoy! SCI’s already huge number of IMSA Certified Technicians, is getting bigger! SCI has always been proud to have the largest number of IMSA certified staff in the state of Utah. As a matter of fact, back in 2009 SCI was given the IMSA award for having the most IMSA certified employees in the region. The IMSA (International Municipal Signal Association) is Dedicated to providing quality certification programs for the safe installation, operation and maintenance of public safety systems; delivering value for members by providing the latest information and education in the industry. 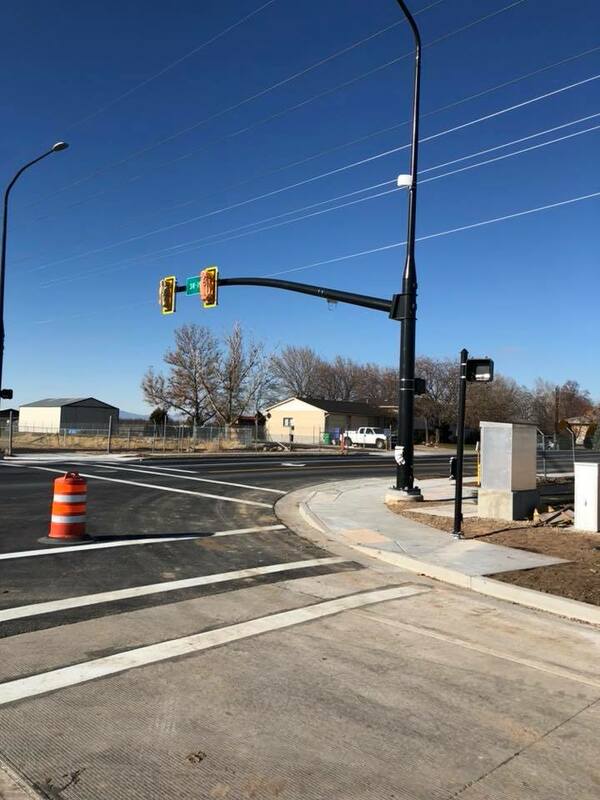 UDOT specifications state that any company doing Traffic Signal or ATMS construction on Utah roadways must have 2 IMSA certified technicians as well as 1 Journeyman electrician on the job site at all times. Working with SCI will guarantee this requirements is met every time. SCI is proud to announce that we have joined the ACI – Intermountain Chapter. Founded in 1904 and headquartered in Farmington Hills, MI, USA, the American Concrete Institute is advancing concrete knowledge by conducting seminars, managing certification programs, and publishing technical documents. The American Concrete Institute currently has 98 chapters and 20,000 members spanning 108 countries. 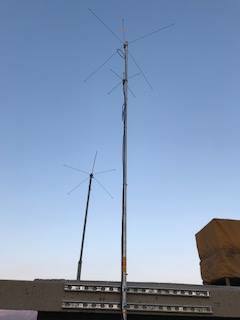 SCI is always striving to be part of a group that is always looking to better the products that we use to build infrastructure for our clients and our community. On April 2010, Google hosted a race on their campus, located on Mountain View, CA., in order to promote their Fiber To The Home initiatives. This video explains the basics of Micro-Trenching and features clips of the Google parking lot race. SCI has long worked for a better future for our customers, our company and our community. We are proud to announce that we have joined the SEPA (Solar Electric Power Association). SCI has been offering Alternate Energy Technology as part as our solutions and will continue to make improvements to offer better and more efficient ways to power your business, home or equipment. SCI will be attending the 2011 UDOT annual conference at the South Towne Expo Center from November 15 – 17. We have been attending to these conferences for the past several years and this year will be no exception. We will be sharing a booth with Wasatch Barricade so come visit us!. The conference will have great speakers such as former Senator Robert F. Bennett, UDOT Executive Director – John Njord, Lane Beattie – Salt Lake Chamber CEO and more! They will have several break-out sessions on Construction, Design, Public development, etc. We know this event will be of great benefit to us and our partners so, come visits us! 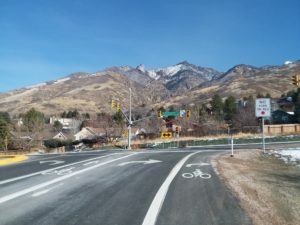 For further questions, visit UDOT at www.udot.com. See you there! Yet another warm sunny day for an ABC event. The Magna Gun Club was the stage for this fall’s event, Trap Shoot. Teams of 5 from different companies showed up to compete in this event. They shot 50 trap targets and 25 – 5 stand sporting clays. Team SCI came to take the title from defending champion so the stakes were as high as they can be! Each participant also competed as an individual in one of 5 classes: “A” (Advanced) “B” (Intermediate) “C” (Occasional shooter) “D” (beginner) and Ladies Division. Although our teams were not successful in bringing the team title home, we won in 4 of the 5 individual classes. Class A – Clint Sorensen, Class B – Todd Manning, Ladies Division – Sharlyn Reinhold and Class D was taken by our friend and partner Steven Forry from Level 3, who formed a last minute-team with Mark Todd. Thanks to everyone that attended and made this day yet another memorable ABC event. Ten years ago today was one of the most tragic days in the history of the United States — it left a scar on our country that will never go away, but the resilience and spirit of the American people shines as bright as it ever has. Today, all of us at SCI would like to say, we remember! Our thoughts and prayers are with those affected by this attack. SCI/Wasatch Barricade, JPB and IMS participated in the ABC’s Annual Dutch Oven Cook-Off held at beautiful Sugar House Park. A sunny day greeted all those who came to support and be a part of the event. SCI’s cooking team was the first to set up camp and get down to business. They started by cooking the secret BBQ sauce (The recipe is available for $5.00 by purchasing the ABC Dutch Oven Cook-off recipe book), asiago chesse was used which gave the food a great flavor. Team JPB tried a more ancient and serious approach. Their technique was composed of chanting an Italian…ish sounding anthem repeatedly as they used century-old tools and techniques, such as tossing dough in the air and using bud light beer cans as dough rollers. Team IMS’ cooking and recipe was simple… secrecy! They set camp at a spot a little further away from the other teams and simply got straight to business. No chanting, no messing around! Just business as usual and they walked away with BOTH Dutch Oven awards for main course and desert. Thanks to everyone that attended and made this years ABC’s Dutch Oven Cook-Off another success. After nearly 5 hours of cooking and 30 minutes of putting all of the food away by everyone in attendance, it was very easy to see that individual Companies didn’t show up… only family!!! 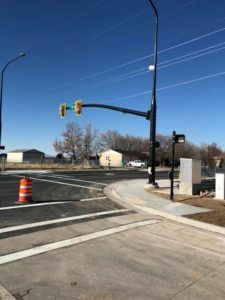 Estimated value of the project is $557,000.00. This project will have a 160 calendar day duration, starting Mid-September. SCI is once again trying to give back to the community by helping sponsor the BUY(Building Utah Youth) foundation Derby car. This car will be used at the 2011 Weber County Fair going on August 10th through the 13th at the Weber County Fairgrounds – 1000 North 1200 West, in beautiful Ogden. Other Utah ABC proud members are also helping sponsor the car. What the BUY Foundation stands for…. In today’s changing culture, leadership training is paramount to developing self-sufficient, ethical, and compassionate individuals. According to studies, youth who participate in development and leadership experiences are more likely to do well in school, be involved in the community, and positively transition through adolescence and adulthood. BUY is committed to provide this opportunity to as many Northern Utah youth as possible in the upcoming years. We sent two teams to the 30th Annual ABC Golf Tournament this year in an effort to win but more important, to support a very worthy charity. 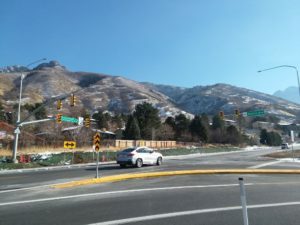 The event was held at Soldier Hollow Golf Course in beautiful Midway, Utah and there were enough teams to fill both the Gold and the Silver courses. The proceeds from the tournament are donated to a local children’s charity and help to fund back to school clothing and supplies for the kids. Our first team was James Arciaga, Mark Todd, Scott Lindsay and our ace player, Cody Sorensen. We had a great time but in the end, our 5 under par score was not enough to put our names on the trophy. Our second team was Chase Sorensen, Ben Vigil, Neil Atkinson, and Dave Giles. They also posted a respectable score of 5 under par but again, no trophies. We also sponsored hole #16 on the Gold course and held a closest-to-the-hole contest. Carl Sundstrom, Jamie Morris and Carlos Salcedo were on site to offer the players swing tips, yardage to the hole, a friendly smile and most important a watchful eye to make sure the contest was honest. Ron Hadley used his finely honed skills to stop his golf ball within 8 feet of a very tough pin. His efforts were rewarded with an awesome new Garmin G3 Approach golf GPS unit. At the end of the day, we all had a great time and most important of all, we raised a lot of cash for a truly worthy charity! Please help me CONGRATULATE the following employees who have had a milestone anniversary with SCI in the first part of 2011! These anniversaries are for the 1st half of 2011 only – January through the end of June. You All Rock! Thank you for all you hard work and dedication. SCI defends ABC Safety Olympics Title! On Thursday, June 9th, the Associated Builders and Contractors held their annual Safety Olympics. The event consists of a skills competition using several different pieces of construction equipment. The backhoe, mini excavator, scissor lift, skid steer loader and all terrain fork lift. The competitors also take a written test on the varios safety issues that exist on each piece of equipment they will be using. Each operator is able to compete individually and for their team. We have been anticipating this event for the last year due to the fact we have won the team event three years in a row. We were tuned up and ready to go for the four-peat. For those who are less familiar with this event, the competitors are given a course and rules that they must follow to get through safely, but timely as well. Any safety infractions are converted into time, so the safer the operator, the better the time. So if you want to use it as a measuring stick, we have the safest and most skilled operators around! Mike Johnson performed extremely well in the skidsteer competition, placing third in the individual and devastating the competition for his team time. He beat Wadman’s operator by nearly 3 minutes, that is a huge advantage. Most of his success was due to the fact that he was able to operate safely under control and therefore avoided large penalties that other competitors received. Mike also operated the backhoe for our team and beat Wadman’s operator by nearly 2 minutes, again, much of this spread was due to the infractions that were avoided by Mike with his precise operating. The safety penalties are heavy on all of the events, so if an operator just goes through the course as fast as possible without thinking of safety, then they will lose. Mike won the individual backhoe event outright with Travis also competing in the individual portion and earning third place. Travis Kunkle performed superbly on the all-terrain forklift. Again, the safer the competitor, the better overall time they will have. Travis placed first in individual portion of the forklift competition and had a competitive time for the team portion, which allowed SCI to remain in the chase. Steve Miller competed on the individual portion of the scissor lift and placed first overall, smoked the course, again. Kody Kendall did not quite place on the scissor lift for the individual time, but he absolutely destroyed the competition for his team time, a big factor in the overall win. On a side note, Mike Johnson and Travis Kunkle placed first and second respectively in the mini-x competition. Everyone should be pleased with the efforts of these guys and the way they represented our company in such a safe and proficient manner. Again thanks to everyone who made it possible. P.S. SCI took the trophy home with a final tally of 1331 seconds, Wadman and Big D (team a) tied for second with 1456 seconds, R&O finished with 1706 seconds, and Big D (team b) finished with 2107 seconds. We won with a 2 minute lead. 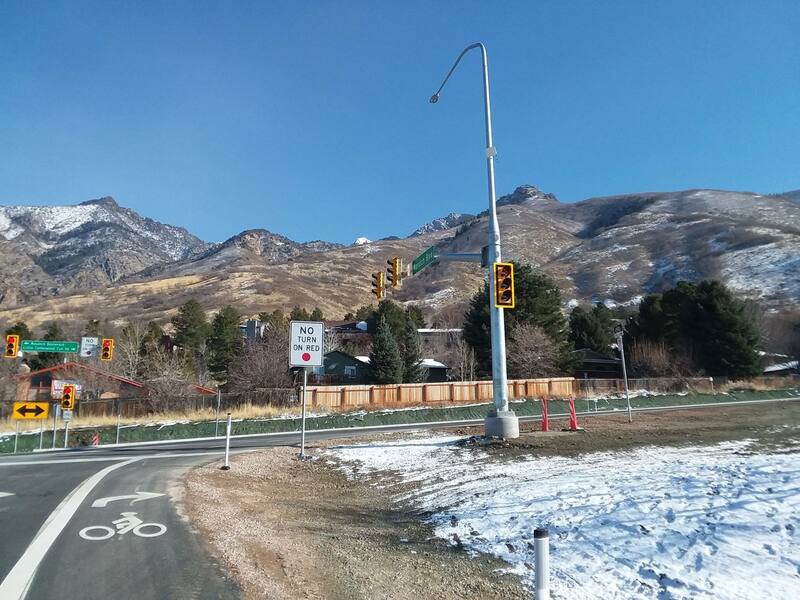 Utah Labor Commission Has Accepted Our Safety Grant Proposal! For those that don’t know what that means, we applied for funding to help with new and innovative safety programs. This included some merit incentive based programs, as well as some improvements to our efforts to communicate safety to those who are not as familiar with the English language. It is an exciting step for SCI that we hope will improve our culture and overall understanding of safety top to bottom. We are attending the Arizona – New Mexico Telecommunications Association 2011 Spring Conference this week. If you’re also attending, please stop by our booth to say “hello”. You can also enter to win a new Ping Zing IWI putter we’re giving away… All the best! Things are moving along nicely on this project, in spite of the weather. 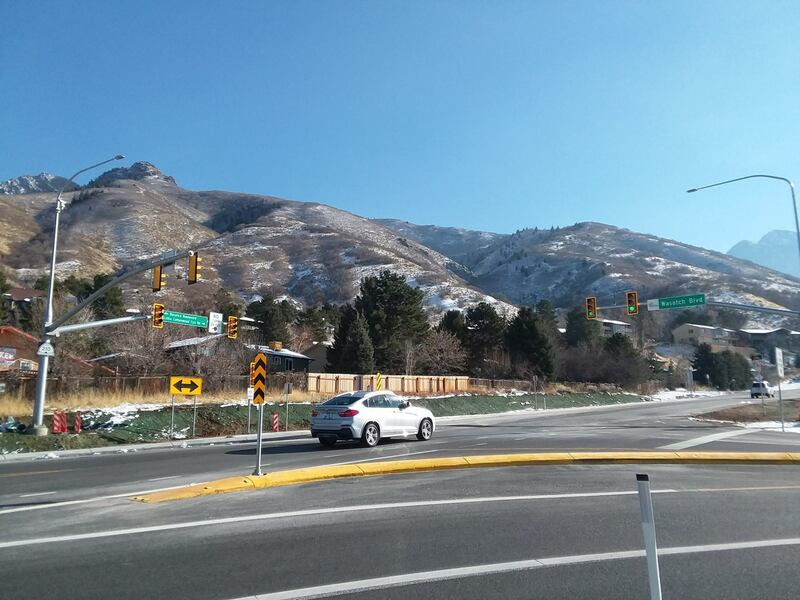 The new South Bound offramp will be open to the public in the next three to five days. 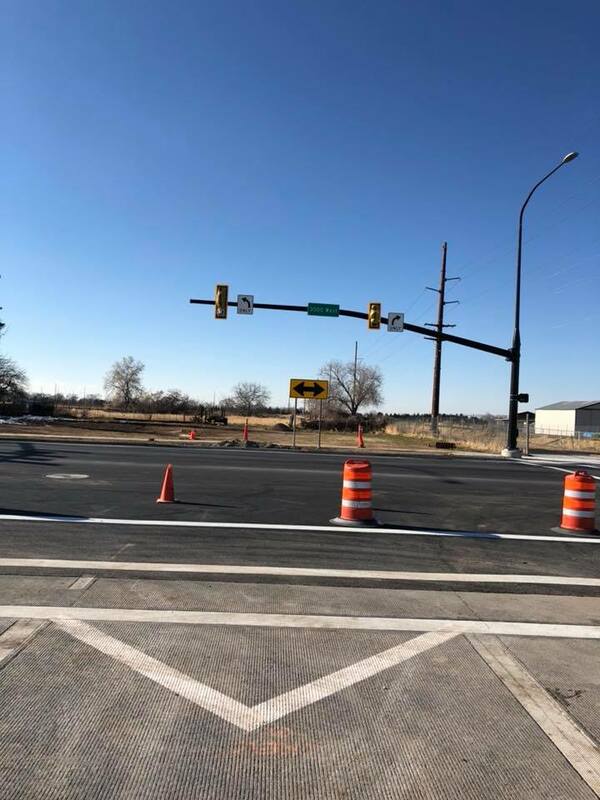 We recently put the finishing touches on the new intersection to accomodate the newoff ramp. RFDT…. Rapid Fiber Deployment Truck!!!! We are proud to announce we have purchased a RFDT (Rapid Fiber Deployment Truck). 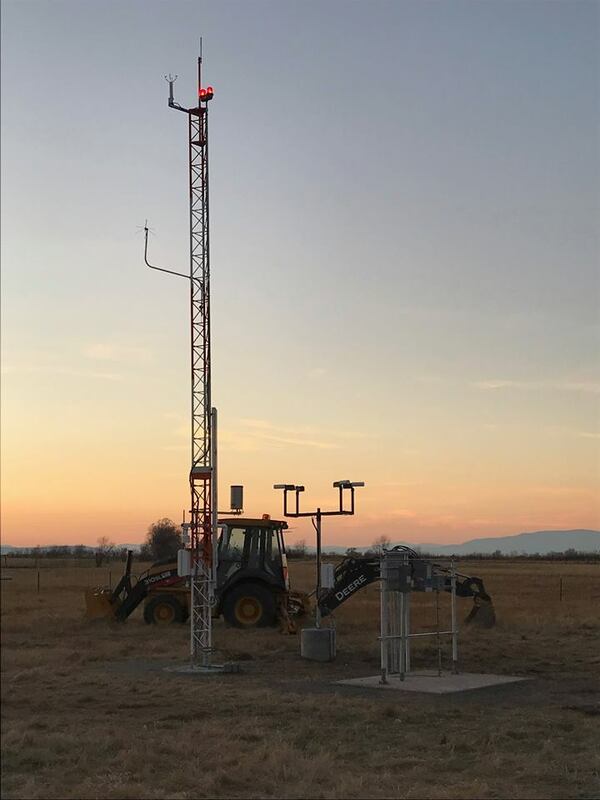 This will allow to be more responsive to our customers needs throughout the Western United States. In addition, we have the latest technology in fiber blowing systems, capable of rapidly installing fiber optic cable. Not exactly business as usual on the project site today. We’ve made a lot of progress on the placement of the power and communication conduit structure over the last several weeks. Today we had a bit of a different task to take on! The normal stuff included setting three 13`x 33′ power vaults. The tricky part was the fact we had several missiles sitting in our way! Definitely not your typical day at the office. See the whole story here. On Friday, May 6, 2011, SCI participated in the Associated Builders and Contractors Big Truck Day event. Big Truck day is held each year at a different elementary school in Northern Utah. This year, the lucky children at Good Foundations Academy in Riverdale had the opportunity to learn more about a few of the big rigs used in the construction industry. There were concrete mixers, dump trucks, mini excavators, crane trucks and SCI’s famous Tornado Vacuum Excavator. Also, back by popular demand, Jeremy Bowels was on site to show off the Tornado and it’s capabilities. Not to leave anyone out, the vehicles operator, Brian Caldwell was onsite to do the real operating of the equipment. Jeremy and Brian did a wonderful job of demonstrating the Tornado’s ability to vacuum up just about everything in sight. Dirt, rocks, chunks of wood and, to the delight of the children, the occasional hard hat. They also took the time to help the kids understand what it takes to operate a successful construction business. As each group of children would stop by to see the Tornado, Jeremy would make “job assignments” to several of the students. You would have a company owner, project manager, safety manager, administrative assistants, foreman and most importantly, a project owner, who could pay the bills. The kids assigned to be the foreman were able to operate the vacuum system on the Tornado, with some assistance. A few of them showed some real promise! Jeremy and Brian really helped the kids understand some of the various opportunities that exist in the construction industry. They also kept their interest level high and helped to keep it fun for everyone. At the end of the day, over 250 children had the opportunity to learn a bit about the different trucks and equipment used in the construction industry here in Utah. They had a good time and hopefully a few of them will have an interest in pursuing a career in this great industry. Is your fiber infrastructure future proof? If your not sure how to answer this question, you may want to consider exploring Sumitomo Electric lightwave’s FutureFlex air blown fiber product line as a solution. To find out more about FutureFlex, head on over to their website. They’ve posted several videos featuring the FutureFlex product and it’s ability to be utilized in a variety of applications. If you have a specific question pertaining to your exact situation, please don’t hesitate contact our Voice and Data Communications team. As a FutureFlex Licensed Installer, we can help. You have the skills… We have an opportunity! OSP Fiber Optic Installer needed in West Jordan or Syracuse. Must have previous experience with jetting in OSP fiber optic cable. Expeience with communication infrastructure and with construction equipment a plus. Must have a valid driver license with a good driving record (no more than 2 moving violations; zero violations preferred). Wage DOE. Employer does pre-employment drug screening. Benefits available after 3 months. If you are interested, click on this link to be forwarded to our Employment page to download an application or just give us a call. At last… our new website is up and running! Well, it’s been a long time in the works but it’s finally here. 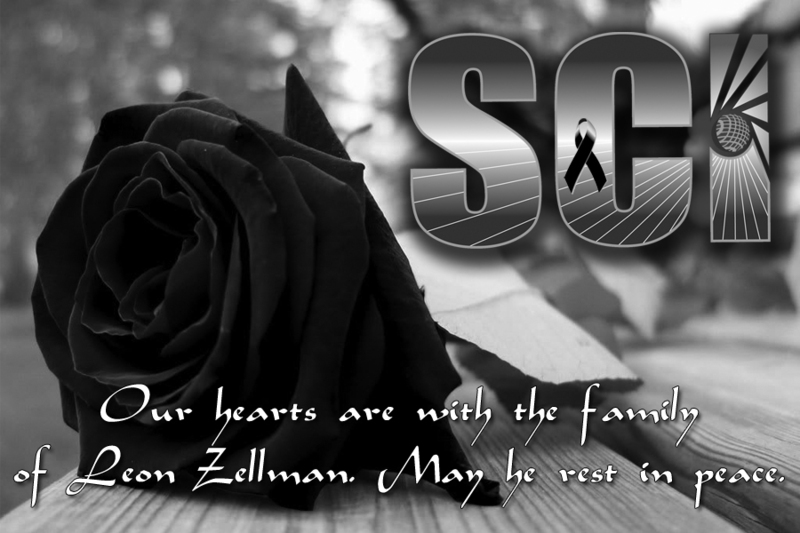 On Friday, April 1, 2011, SCI “went live” with our completely overhauled website! We’ve added several new features including a greatly enhanced Projects page, our Social Media links, and best of all, this great News/Blog section. 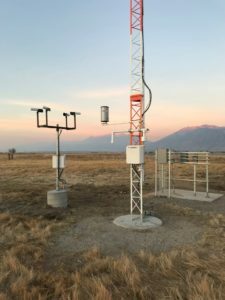 Also, you’ll notice we’ve added a section for each of the many different infrastructure solutions we offer our clients and tons of great new images highlighting the work we do so well. I want to thank all those who had a part in making this happen, especially the fine folks at Fluid Studio. Phil Case and his team did a fantastic job on the design and programming of the site. Also, they showed great patience, perseverance and professionalism when dealing with my incessant questions and challenges throughout the project. If you’re ever in need of web design, I highly recommend giving them a shot. So, head on over and check us out. Just follow this link and be sure to add us to your list of favorites. We’ll be updating our Blog with the latest information on the status of our ongoing projects, the Who’s Who among SCI’s amazing employees, our thoughts on the Infrastructure industry and many, many other ideas. Over the next few days our Estimating team will be receiving customized training on the HCSS HeavyBid estimating software system we use. We’ve flown in Rich, from HCSS, to spend the next few days discussing the new features implemented over the past year into their HCSS Heavy Bid estimating software. SCI has been using HeavyBid to more efficiently and consistently produce bids for more than ten years. As good as we are at using the system, there’s always room to learn just a bit more. That’s where Rich comes into the picture. He’s working hand in hand with our team to bring our skills up to a whole new level, allowing us to become even better at putting together our estimates. At SCI, we’ve always had a strong belief in two things. Use the right tools for the job and train your people how to use those tools to the best of their ability. This is just another example of putting this belief into action!